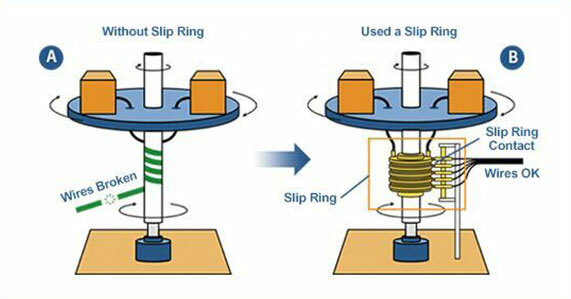 Slip rings are very one of the easiest components of an electric appliance or motor to understand but equally difficult to execute. We might have heard time and again how slip rings work, but the kind of different functions and roles that it might play in different motors or generators is what the manufacturers have mastered in. slip ring technology in alternators is quite similar to the mainframe function. However, there is a lot more to it. Here are the purposes or the slip rings function that we find in alternators. Slip rings, in an alternator, is a band that is made up of electrically conductive material and is mounted on a shaft-like component. 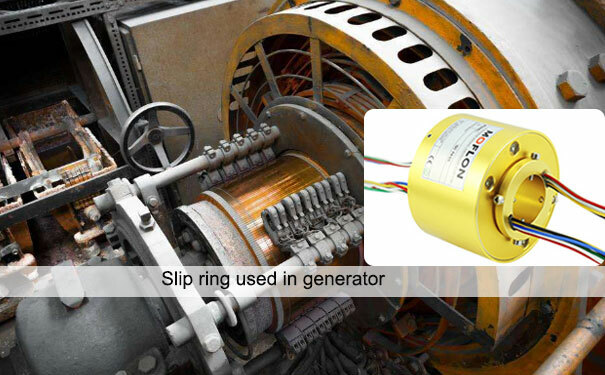 With the help of windings or any other electrical connections, the slip ring is connected to the rotating assembly. The outer part of the slip ring remains in continuous contact, though sliding, with the brushes or any other conductor. Through this mechanism, the slip rings provide DC excitations to the rotating component of the alternator. The DC supply thus generated after rectifying of the output of the alternator is stationed while the other part, which is fed with the power, keeps rotating. A brush remains in constant connection with the rotor slip ring in order to provide the DC current to the winding rotor. The arrangement of the brush and the slip ring can be considered to be an arrangement between the DC power supplier (which is stationary) and the rotor (which is in constant rotation). In a Brushless Excitation System of an Alternator, the exciter alternator provides the DC excitation. However, the field is stationary and the armature of the setup keeps rotating and is connected to the main shaft. Following this, the entire mechanism is assembled and mounted on a rotor, which can even supply DC current. As for a matter of fact, the alternator can be both DC as well as AC. In case of a DC alternator, the slip ring works as a split ring which can reverse the polarity, thereby providing DC output on the loading. On the other hand, in cases of an AC exciter, these slip rings serve many purposes. In an AC output appliance or generator that is used to generate electric power for both industrial as well as domestic purposes, the slip rings are used to normally carry the AC output. However, in an automobile alternator, the added slip rings can only carry a very low DC voltage that can excite the rotating rotor. While speaking about the alternators, there is quite some confusion regarding the output of industrial and automotive alternators. Both these kinds of generators make AC current. However, in automotive alternators, the AC current is changed to DC current before being sent to the electrical system of an automobile. But for an industrial alternator, this rectification of current is not required.